Construction on the National Museum of the United States Army is now underway on Fort Belvoir, Va., due to continuing individual and corporate donations, gifts of stock, foundation grants, and recent million dollar gifts from Honeywell, L3 Communications, and the Pritzker Military Museum & Library. Slightly over $140 million has been raised to date in cash and pledges toward the museum’s $200 million Capital Campaign spearheaded by the Army Historical Foundation (AHF). According to retired Lt. Gen. Roger Schultz, AHF president, activity on and around the 84-acre museum site, adjacent to the Fairfax County Parkway, has intensified as the contractor, Clark Construction Group, LLC, Bethesda, Md., has moved in heavy equipment, site managers and subcontractors to work on the museum projected to open in late 2019. Construction is now underway on the National Museum of the United States Army. “We’ve just reached another important milestone in our timeline for building the National Museum of the United States Army,” Schultz said. The museum building was designed by Skidmore, Owings & Merrill LLP, and will tell the stories of the 30 million men and women who have worn the Army uniform from 1775 to today. The future national landmark will be publicly accessible when the museum opens. Approximately 185,000 square feet of space will feature state-of-the-art technology throughout the dramatic historical galleries, an interactive Experiential Learning Center designed to engage visitors’ imaginations and curiosity, and the Army Theater that will stimulate visitors of all ages emotionally and intellectually, immersing them in the Army’s history and heritage and what it is like to be a soldier. The vast majority of the museum’s rare and priceless artifacts, artwork, and images have never been seen by the American people. Outdoor venues will include a Memorial Garden, Amphitheater, Parade Ground, and Army Trail. The museum will welcome an estimated 700,000 visitors annually. 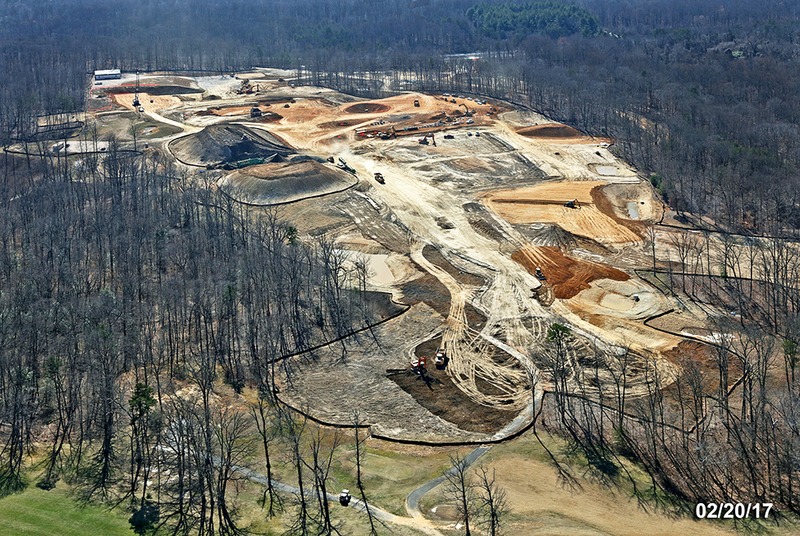 Aerial view of the future museum grounds on Fort Belvior, Va.
“We appreciate and are mindful of the trust and confidence that our loyal and generous supporters have placed in us in this long-over due tribute to our Army and its soldiers and their families,” said retired Gen. Gordon R. Sullivan, AHF chairman. Sullivan said AHF’s mid-September 2016 groundbreaking was the first key milestone in the campaign, generating momentum in three areas –public awareness, fundraising and site preparation toward construction. “Now that we’ve entered the actual construction phase, our job is to sustain that momentum on all three fronts,” Sullivan noted. 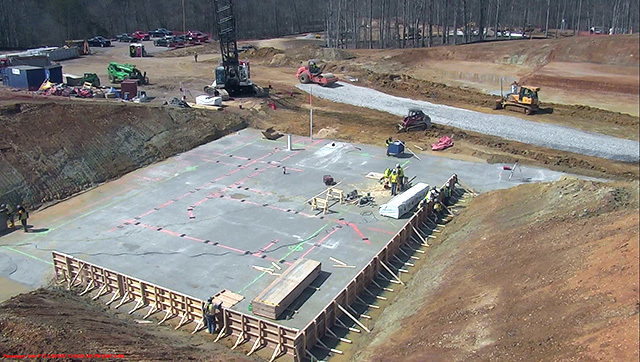 According to Sullivan, progress to date can be attributed to the coordinated efforts of AHF, the Army Museum staff at Fort Belvoir, and Department of the Army officials in managing the complex process of project construction. This includes everything from negotiating a 50-year ground lease to meeting environmental requirements, and from site preparation to bringing in electrical, water and gas utilities prior to construction. “With all these and other moving parts underway, controlling construction costs, keeping the project on schedule, accelerating our fundraising efforts, and making sure museum supporters are kept abreast of progress are AHF’s current priorities,” Sullivan said. Sullivan’s vision extends beyond the museum’s opening date, which he considers completion of “phase one” of the project. “If we go even further back – from 1775 to 1636 and the organization of the militia – we’re talking about nearly 400 years of Army history here, and not all of it will or can be seen when we open,” Sullivan added. He noted, “Over time, though, I foresee expansion of the galleries, exploitation of apps and other maturing IT prototypes, and other appropriate additions to the museum complex that will require continuing fundraising to ensure the Army’s comprehensive story is properly told. For additional information on the National Museum of the United States Army, visit www.armyhistory.org.